We started this week with odd socks to raise awareness of Anti-bullying week and it was brilliant to hear the children talk so articulately about how important it is we celebrate our differences and make our school a colourful joyful place to be. We had 2 days of parents evening where it was brilliant to see and hear how well children are settling into life at Gunthorpe, many of who are with a new teacher. If you haven’t had a chance to please do fill in the comments and suggestions sheets as we love to read your thoughts on our school. On to our brilliant book.. Infant 1 super sentence writer was – Ben – who is really trying to hear all the sounds in his words and has done brilliantly this week. Well done also to Autumn for really trying to put sounds together to read words and showing real determination to keep trying even when she finds it difficult. Junior 1- well done to Sophia for being the first year 4 to complete her 12×12 tables challenge. Now she just needs to retain all that knowledge! Harrison and Thomas – for super progress with joining, keep it up and make sure the quality of your sentences remains as good as it is now! Junior 2- Lukas- excellent work in maths this week on common multiples and mental calculations Mr Tyler was incredibly impressed. George- 2 weeks in a row you have impressed Mr Getthing with your maths- today you completed 2 worksheets of calculations using multiples of 10, 100 and 1000 in one lesson so well done and keep it up! We also congratulated all of year 6 who had represented our school so well at Toot Hill Arts Academy and spoke to the whole school about the art, D&T, dance and other activities that they had been doing. Looks like we need to include some more design and technology into our school curriculum as they all really enjoyed that. I do hope you have managed to have a read of the February newsletter which came out today- it is bursting full of exciting news from Gunthorpe. 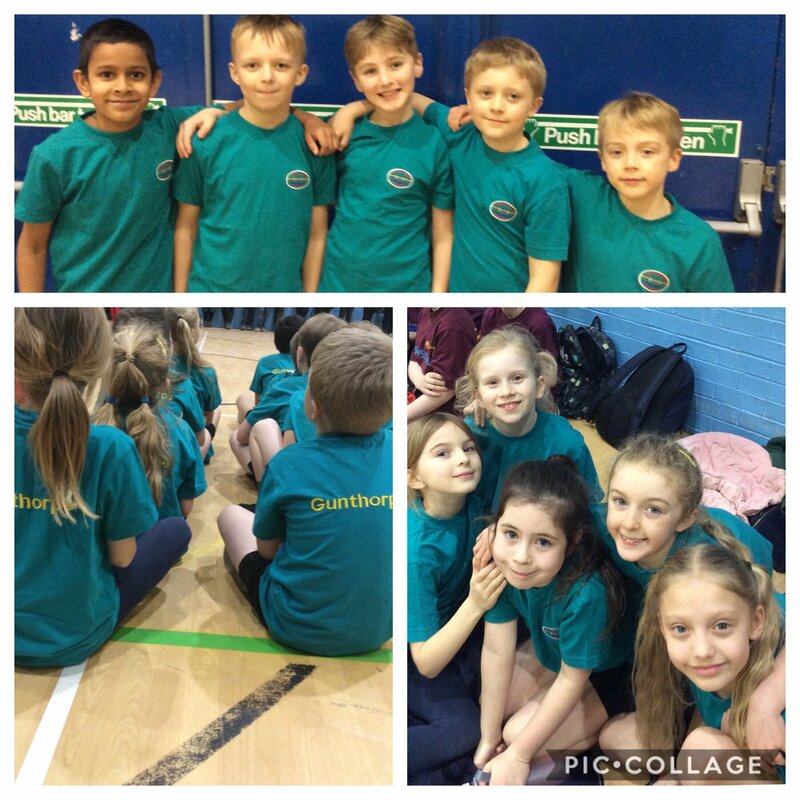 This week a special well done to the year 3/4 Athletics team who did brilliantly coming 5th out of 11 teams, some of which came from much bigger schools! They stayed determined and worked so hard as a team to support each other throughout. It was a privilege to be there with them. 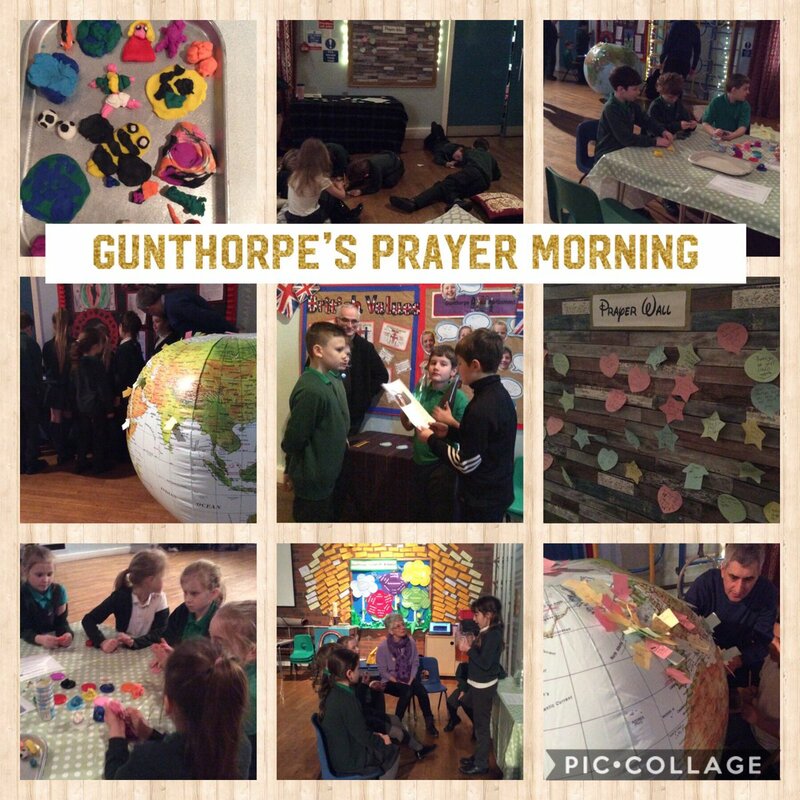 Also special mention to our Junior prayer team who led the prayer morning on Wednesday this week- more detail in the newsletter but they all showed such respect and made the morning truly memorable for all involved. Infant 1- Super sentence writer this week was Autumn for sounding out a lot of her words independently and knowing the red word ‘the’. Autumn is so determined and making brilliant progress! Ben- For challenging himself in maths and asking to do more! Ben completed the missing number challenges to 20, then 50 and then 100! Well done Ben! Infant 2- Writer of the week: Laci-Mai Harrison for her fantastic writing about being a servant in a Victorian household. Laci-Mai included conjunctions and determiners in her writing. Toby- for always showing thought and care by offering to help anyone in the class. Lyla M- for brilliant spelling of Red words and using her phonics knowledge beyond year 1 expectations! Keep it up! Junior 1- Aleena and Chloe- for both working really hard in their fractions work. Mr Hall has been really impressed with their knowledge and effort. Oliver- for his excellent maths thinking and thoughtful learning. He always asks great questions to help him learn and understand all the time! Thomas- Miss Bottrell was sat doing her planning when she over heard Thomas reading with a parent helper. She was so impressed with his tone, expression and fluency. It was so lovely to hear! Junior 2- Hannah- last week Hannah scored 100% on a practise maths SAT reasoning test. What an incredible achievement! Harriet- For really good maths work on equivalent fractions with different denominators. We hope you have a fantastic half term and look forward to welcoming all the children back on Monday 25th February when we launch our fair trade fortnight and 90kg rice challenge!